Product priced individually per jar. Only lids with size 43-400 will fit this jar. Refer to detailed product description below for more information. The G074AM-1 is a 1 oz amber glass straight-sided round jar with 43-400 neck finish. Straight-sided jars have a wide mouth, thick walls, and a relatively square base. They are simple, elegant, and look great with a label or silk print. This jar also has a high clarity clear glass verison, has high chemical-resistance levels, and has extremely high resistance to heat and cold. It is great for storing essential oils. This item has a 43-400 neck finish. The first number refers to the diameter (in mm), and the second refers to the closure depth, style and thread. This container can be paired with a closure with this matching finish. Accepted methods of payment. 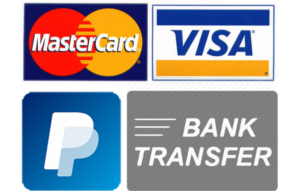 Visa Credit, MasterCard, Bank Transfer.